The American Hockey League announced the schedule for the 2014-15 season this morning, including a 76 game slate for the Texas Stars. The season will start with four banner raisings on October 11th against the Iowa Wild. The season will conclude against the San Antonio Rampage on April 18th. Oklahoma City and San Antonio dominate the schedule with each team playing 12 against the Stars. Conference rivals Iowa and Charlotte each get 8 games, meaning that the West Division makes up 40 of the 76 games in the season slate. The Stars' longest road trip will stretch six games over twelve nights from February 13-24. It will immediately be followed by the team's longest home stand, a seven-game set at the Cedar Park Center that will stretch from February 27 to March 17. January will be the busiest month for Texas with 13 games, six on the road and seven at home. The Stars' first matchup against Western Conference Finals opponent Toronto will be November 5th at Cedar Park Center. Texas defeated the Marlies 6-2 in Game 7 of the WCF, scoring six unanswered to make their way to their second Calder Cup Final in team history. Grand Rapids, which Texas defeated in six games to move on to the West Finals, will not visit the Cedar Park Center until March 27th. Texas will go to Van Andel early in the season on November 14th. Texas will play all Western Conference opponents. Newcomer Adirondack will visit the Cedar Park Center just once on the season and Texas will visit Glens Falls just once as well. Rochester also will play a home-and-home with the Stars. Hamilton, Toronto, Utica, Chicago, Grand Rapids, Lake Erie, Milwaukee and Rockford will all make four appearances on the schedule, two at home and two on the road. Friday and Saturday are once again the most common nights for home games; 23 of 38 home contests will be on those two nights. Game start times will be unchanged from prior years: 7:00p for Saturday games, 7:30p for Monday thru Friday, and 5:00p for Sunday. After the Stars' open, they will play a very light October. Just 7 games fill the schedule from October 11th to 31st, mostly on Fridays and Saturdays. Texas gets just three 3-in-3s, which will all occur before January 1. Two of the three will be exclusively on the road, featuring games in Grand Rapids and Rockford from November 14-16 and Utica, Toronto and Hamilton from December 19-21. The final 3-in-3 will be just after Christmas, featuring Charlotte and a home-and-home with San Antonio. 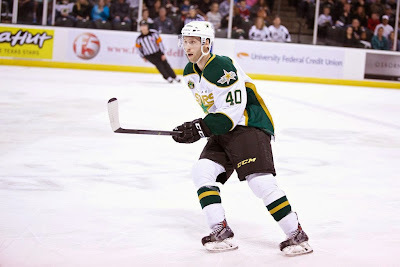 The Texas Stars announced this afternoon that William Wrenn has been re-signed to an AHL deal for the coming season. Wrenn, who played with Texas for the entirety of the 2013-14 campaign, scored two goals and five assists in just 40 games of action. Wrenn and Hubert Labrie were both pegged as the seventh defenseman on a deep squad. Wrenn has lucky enough to never make his way to Idaho. However, this meant fewer overall games for him. Wrenn did play in two playoff games en route to the championship and got his name on the Calder Cup. Based on the defensemen already signed to Texas, Wrenn could find himself as a seventh defenseman yet again. Here's an early stab at the lineup, assuming Patrik Nemeth is bound for Dallas. I don't see Wrenn surpassing any of the players on that roster above him. It's good to have a seventh guy that you can rely on, however. Wrenn and Labrie were both 'seventh' defensemen last year and each played 40 games. The 2014 Calder Cup champion Texas Stars, American Hockey League affiliate of the NHL’s Dallas Stars, announced today that the club has signed defenseman William Wrenn to a standard AHL contract for the 2014-15 season. Wrenn, 23, will begin his third campaign in a Stars sweater after appearing in 59 regular season contests over the past two years, tallying 14 points (four goals, 10 assists). The 6-foot-1, 210-pound defenseman also appeared in a pair of games during the opening round of the Calder Cup playoffs last year against the Oklahoma City Barons. Wrenn (REHN) was originally a second-round pick of the San Jose Sharks (43rd overall) in the 2009 NHL Entry Draft and made his pro debut with the ECHL’s Alaska Aces during the 2012-13 season. The Anchorage, Alaska, native later signed with the Stars on a professional tryout contract and appeared in 19 games during the second half of the 2012-13 campaign. Prior to turning pro, Wrenn was a member of the U.S. National Development Team program and won a gold medal at the 2009 IIHF U-18 World Championships. He then competed at the University of Denver (NCAA) from 2009-11 and also played two seasons of major junior hockey with the Portland Winterhawks of the Western Hockey League. The Austin Business Journal reported yesterday that Dallas Stars owner, Tom Gaglardi, is looking to put a 200 room hotel on the land surrounding the Cedar Park Center. The hotel would be part of the Gaglardi-owned Sandman Hotels, Inns & Suites chain. Sandman operates 42 hotels worldwide with all but one of those in Canada. This effort to build a pair of hotels in Texas would be their first expansion into the United States. Along with the Plano hotel, Gaglardi said he is already thinking of a Sandman hotel development on a large parcel of land near Cedar Park Center. The details have yet to be worked out, but it's safe to say the hotel would top more than 200 rooms. "This is a new area for us; we are breaking new ground," he said. Read more: Austin Business Journal. The Texas Stars announced Friday that they have signed forward Derek Hulak to an AHL deal for the coming season. The news was initially reported by the StarPhoenix in a great article that you should read about Hulak, his late mother and his day with the Calder Cup. Hulak played three playoff games for Texas on an ATO, earning himself a spot on the Cup. The 2014 Calder Cup Champion Texas Stars, proud American Hockey League affiliate of the Dallas Stars, announced today that the club has signed forward Derek Hulak to a standard AHL contract for the 2014-15 season. 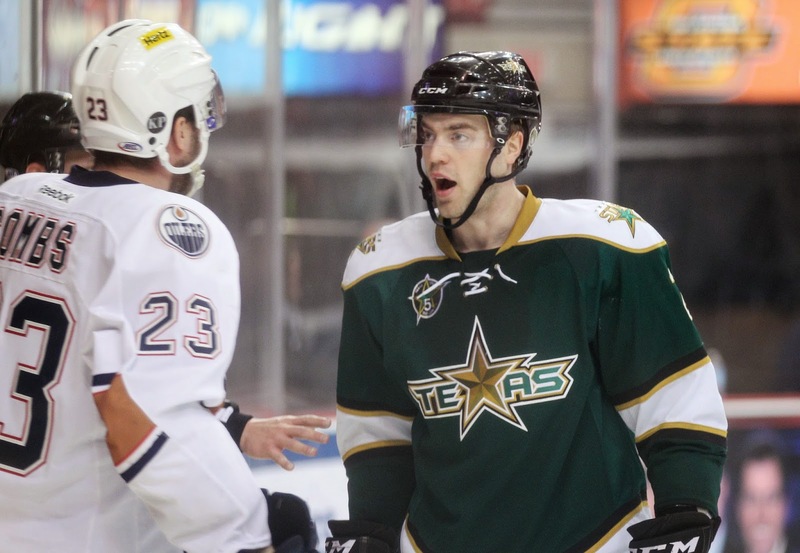 Hulak, 24, returns after appearing in five games for the Stars last season, tallying a goal and two assists. The 5-foot-11, 175-pound forward scored his lone goal in his first-career AHL appearance on March 1st at San Antonio. The Saskatoon, Saskatchewan native made his Calder Cup debut for the Stars in Game 3 of the Conference Semifinals against Grand Rapids, and appeared in three playoff games overall for the club. Before joining the Stars, Hulak (HOO-lahk) completed a four-year career of CIS hockey at the University of Saskatchewan (CWUAA). He posted 48 points (13 goals, 35 assists) in 28 games during his final campaign in 2013-14 and led the Huskies to the 2014 University Cup Final before losing to the University of Alberta. Despite the loss, Hulak concluded the season as a First-Team All-Star and University Cup Tournament MVP. Hulak finished his collegiate career with 122 points (34 goals, 89 assists) in 87 CIS games. He made his professional debut with the Central Hockey League’s Tulsa Oilers for 21 games during the 2010-11 season, posting four goals and 10 assists, before electing to begin his time with the Huskies. Prior to that, he played four full seasons of major junior hockey in the Western Hockey League for the Regina Pats and the Saskatoon Blades. The Dallas Stars announced this afternoon that they have extended their affiliation with the Idaho Steelheads. The Steelheads serve as the AA affiliate of the Stars in the ECHL and the farm team for the AHL's Texas Stars as well. It is another one year affiliation extension. The announcement was completely expected, but it was just a matter of time. The Steelheads have a proven track record of success, having never missed the playoffs in their entire history as an ECHL club. "We are extremely pleased to renew our affiliation with the Steelheads," said Dallas Stars Director of Hockey Operations and Texas Stars General Manager Scott White. "Idaho has proven to be a strong stepping stone for young talent, which is no doubt a product of the club's success and the winning culture it has instituted." The Dallas Stars announced today that the club will renew its affiliation with the ECHL's Idaho Steelheads for the 2014-15 season. The Steelheads have served as Dallas' ECHL affiliate since the 2005-06 season and during the 2003-04 campaign. Idaho has reached the Kelly Cup Finals three times as an affiliate of the Dallas Stars, winning the Kelly Cup twice (2004 and 2007). 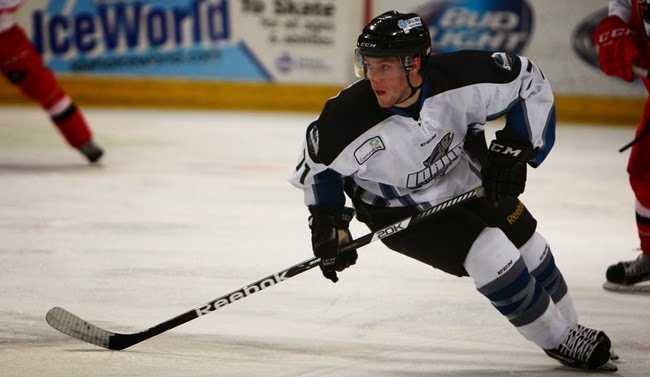 The Steelheads finished the 2013-14 regular season with a record of 39-26-3-4, earning a trip to the postseason where the team advanced to the Western Conference Semifinals. The Dallas and Texas organizations announced the several changes to their broadcast, PR and media relations staff today. Texas Stars play-by-play man and media relations director, Owen Newkirk, will be moving up to the Dallas Stars organization. He will join their broadcast team as co-host for the pre-game, intermission and post-game radio shows, a job previously filled by Josh Bogorad. He will team with Bruce LeVine. Bogorad is also moving on inside the Dallas organization. 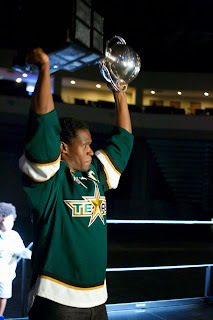 Newkirk called the plays for two of the most successful seasons in the history of the Texas Stars, including his call of the Calder Cup winning goal this past June. His signature, "Oh, baby, what a goal!" was on heavy repeat in the highlight videos for this season. Newkirk had much praise for the Texas Stars organization giving him the chance to make this jump. "My experience the last two years has been nothing short of fantastic. To be able to forge the bonds with media, players, coaches, staff and fans has been exemplary. With the trying time before this when I didn't have a career in hockey, it allowed me a chance to get back in. To get back to a full-time job helped me get my first step to the NHL. I'm so indebted and grateful to Rick McLaughlin and Michael Delay for giving me the opportunity." Jim Lites praised the system working again to advance the careers of staff members, in addition to players and coaches. "The best way to get into the NHL is to be in the NHL. You're better off taking the worst job in the NHL than the best in the minors. Josh [Bogorad] will tell us that was a great move for him. Owen is on the same path. He's moving into Josh's place at the Ticket. He got that job because we know him." Lites pointed out that the newly announced connection between Dallas and Texas could lead to more of these 'call-ups' in the future. Brien Rea comes to Texas after a year off from broadcast. He had previously worked in the CHL with Denver, Odessa and the Arizona Sundogs. Rea also called the final season of the Austin IceBats franchise. The 2014 Calder Cup Champion Texas Stars, proud American Hockey League affiliate of the Dallas Stars, announced today that Brien Rea will join the organization as the team’s play-by-play announcer and Director of Broadcasting and Media Relations. The 31-year-old Rea (RAY) is a veteran broadcaster who arrives in Cedar Park after spending the past year as an executive producer and afternoon-drive sports host in his hometown of St. Louis. Prior to that, he worked in the Central Hockey League for six years, serving as a two-time broadcaster of the league’s All-Star Game. 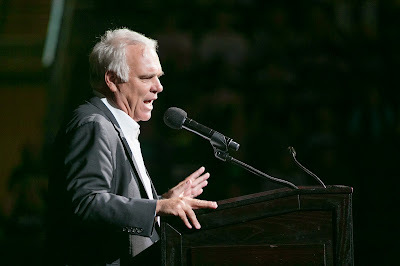 In 2013, he was honored as the CHL’s “Best Broadcaster” and also earned the CHL’s “New Media Franchise of the Year” award as a member of the Denver Cutthroats. A 2005 graduate of Lake Forest College in Chicago, the Stars’ new play-by-play voice has called more than 400 hockey games in his career. He is returning to Central Texas, where his career in broadcasting hockey began in 2007 in Austin. He also worked for CHL teams in Odessa, Texas, and Prescott Valley, Ariz.
Before settling into hockey, Rea’s career stretched into college basketball, minor-league baseball and arena football. He also spent time working for WGN Television. Rea replaces Owen Newkirk, who served in the same role for the Stars for the past two seasons. 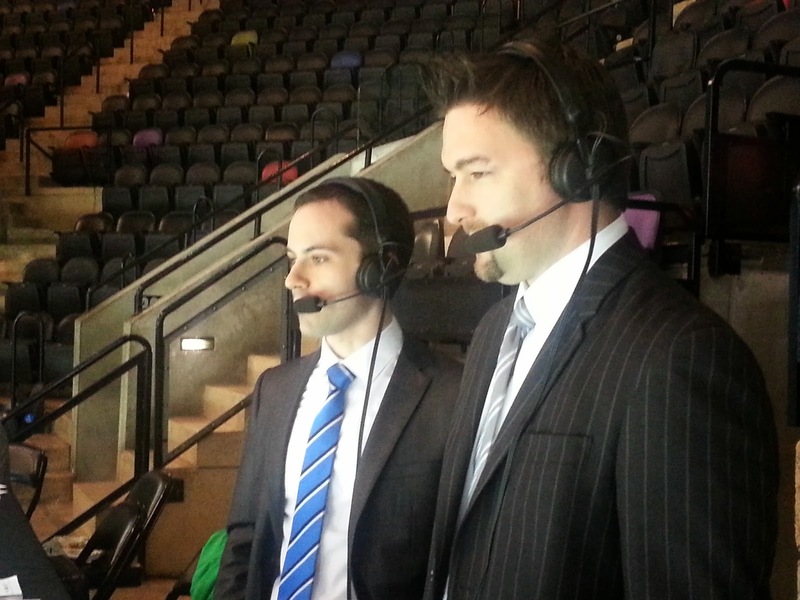 Newkirk departs for the Dallas Stars organization, where he will join their broadcast team as co-host for the pre-game, intermission and post-game radio shows. Lites: Buying Texas Stars Always Part of "Grand Plan"
I got a chance to speak with Dallas Stars president Jim Lites this morning about the announcement of Dallas' intent to purchase the Texas Stars. Lites is extremely happy to be completing the "grand plan" set in motion in 1993 when the team moved to Dallas.. He indicated that this has been "on the list" of things to do since Tom Gaglardi bought the team but things didn't get serious until four months ago. Really, he said that the plan to have an affiliate in-state that was owned by the NHL club was always part of the grand plan since 1993, when the North Stars moved to Dallas. Things were "sidetracked" in the past with the bankruptcy but to be able to put it back together is both "strategic and positive" for both teams. Lites said he has had relationships like this before, with the NHL team owning the AHL affiliate, but he has "never had one that has the potential of this one, with the proximity." To fans, Lites indicated that the transfer would be seamless. The way that the team was operated this year, with Jim Nill and the Dallas organization using NHL contracts to provide valuable veteran leadership to the AHL club, is what Central Texas fans can expect for the coming years. He specifically called out Dustin Jeffrey and Chris Mueller as being key parts of that strategy. He also reiterated Nill and Gaglardi's commitment to not rushing players, instead drafting and developing. Lites did also indicate that Northland Properties intends to buy out all assets of Hicks Cedar Park, LLC. That includes the team, its operating interest in the Cedar Park Center, and its ownership of the 17 acres of land around the Cedar Park Center. Lites emphasized that it isn't a done deal by any means. He said that the team is looking to extend its affiliation agreement with the city and the arena beyond the current ten-year deal, which will expire after the 2018-2019 season. 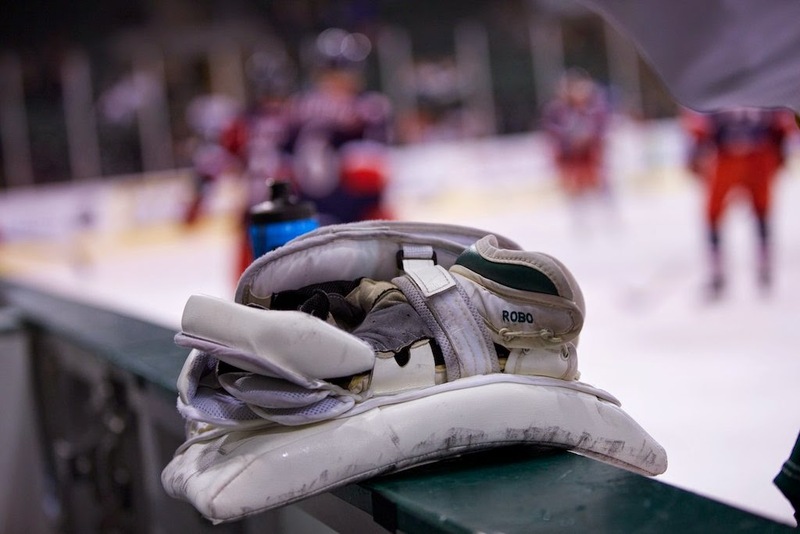 The Dallas Stars parent company, the Tom Gaglardi-led Northland Properties, announced their intent this morning to purchase the Texas Stars hockey club and to operate the Cedar Park Center. The move had been somewhat expected in the long term ever since Gaglardi purchased the Dallas Stars toward the end of the 2011-12 season. There is a wealth of good information out there regarding the big impact that Gaglardi has had on both the business and hockey sides of the Dallas Stars operations. 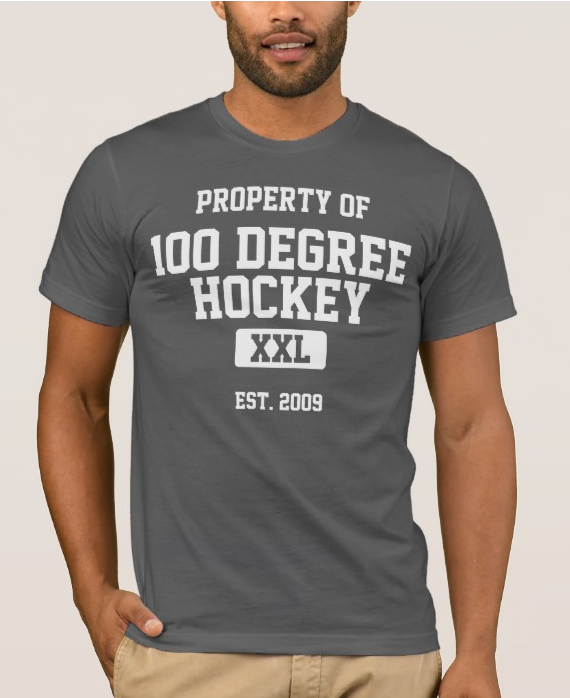 Defending Big D did a series of 'defining moments' articles, which centered heavily on the impact that Gaglardi has had including his hiring of Jim Nill and the logo and jersey updates. After the move, Texas will become one of 14 NHL teams which own their AHL affiliate. Since its inception, the Texas Stars have been owned by Hicks Cedar Park, LLC, an offshoot of the Hicks group which owned the Dallas Stars several years ago. All of the responsibilities of Hicks Cedar Park will roll over to Northland. One of the biggest things to watch with this change is any coming front office changes. The Dallas Stars made significant changes that first year and built up their external marketing organization heavily to increase the buzz around the team in Dallas and Texas overall. Northland Properties Corporation, the parent holding company of the National Hockey League’s (NHL) Dallas Stars, announced today the intent to purchase the 2014 Calder Cup Champion Texas Stars, Dallas’ development affiliate in the American Hockey League (AHL), including the operations of the city-owned Cedar Park Center from Hicks Cedar Park LLC. The building hosts more than 130 events per year including sporting events, concerts, and family shows. Cedar Park Center is home to the 2014 AHL Calder Cup champion Texas Stars. The building also serves as the homecourt to the Austin Toros, the NBA Development League affiliate of the 2014 NBA champion San Antonio Spurs. Since opening in September of 2009, the Cedar Park Center has hosted world-class performers and events such as George Strait, Rascal Flatts, Alan Jackson, Tool, Jason Aldean, Def Leppard, Eric Church, Cirque’ du Soleil and Disney On Ice. In their first five seasons in existence, all of which have been as the AHL affiliate of the Dallas Stars, the Texas Stars have proved to be one of the most successful franchises in the entire AHL and captured the team’s first Calder Cup championship in 2014. The club has made two trips to the Calder Cup Finals (2010, 2014), qualifying for the playoffs in four of their five seasons (2010, 2011, 2013, 2014) and have posted 40-win campaigns four times. During the 2013-14 regular season, Texas posted a franchise record 48 wins, claiming the Macgregor Kilpatrick Trophy as the AHL's regular season points champion, as well as the John D. Chick Trophy as the West Division Champions. Many of the Dallas Stars young core of NHL players have spent time skating for the Texas Stars including captain Jamie Benn, defenseman Brenden Dillon, center Cody Eakin, forward Ryan Garbutt and forward Antoine Roussel. The Dallas Stars and Texas Stars enjoy one of the closest NHL-to-AHL franchise distances in the Western Conference, with only 184 miles between American Airlines Center and Cedar Park Center. Upon completion of the purchase, the Dallas Stars would become one of 14 NHL clubs to own their AHL affiliate: Buffalo Sabres (Rochester Americans), Calgary Flames (Adirondack Flames), Edmonton Oilers (Oklahoma City Barons), Los Angeles Kings (Manchester Monarchs), Minnesota Wild (Iowa Wild), New Jersey Devils (Albany Devils), New York Islanders (Bridgeport Tigers), New York Rangers (Hartford Wolf Pack), Pittsburgh Penguins (Wilkes-Barre/Scranton Penguins), San Jose Sharks (Worcester Sharks), Toronto Maple Leafs (Toronto Marlies), Vancouver Canucks (Utica Comets) and Winnipeg Jets (St. John’s IceCaps). As was previously rumored and written about here yesterday, today it has been announced that the Texas Stars signed veteran forward Greg Rallo to an AHL contract for the 2014-15 season. The contract is a homecoming for Rallo, who played two seasons with Texas when the club moved to Cedar Park. He still ranks in the top ten among Texas Stars players in franchise goals, assists, points, power play goals, game-winning goals and OT goals. "It was a crazy month of July and very stressful to figure out where I was going to go," said Rallo by phone this morning. "I'm very happy to come back and play in the organization that gave me my start in the AHL." After three years in San Antonio, Rallo returns to Austin for the coming season. That should make for an interesting set of games against the Rampage for him. "I knew everybody on the team when I came back three years ago. The same vice versa now. When you're on the ice, everything changes and friendships go out the window. That's the world of hockey." I outlined yesterday why this signing is a good idea. To summarize, Rallo's veteran status helps to bolster a young bottom six. Rallo will be put in that bottom six role but has the upside to play special teams and even fill in in the top six where needed. "I've played against this team for the last three years and it's a close knit group of guys and a fun organization to be a part of. They are building a winning tradition." The 2014 Calder Cup Champion Texas Stars, proud American Hockey League affiliate of the Dallas Stars, announced today that the club has signed forward Greg Rallo to a standard AHL contract for the 2014-15 season. Rallo, 32, played for Texas during the team’s first two seasons in 2009-10 and 2010-11. In 147 games with the Stars, he posted 98 points (45 goals, 53 assists). Rallo led the team in scoring with 54 points during the 2010-11 season. Rallo ranks 11th on the Texas Stars all-time regular season list for games played, he is sixth in goals, seventh in assists and points, fifth in both power play goals (16) and game-winning goals (10) and second in overtime goals (4). The Gurnee, Ill., native spent the last three seasons with the Florida Panthers organization, playing in 207 games for the San Antonio Rampage. In 2013-14, he collected 34 points (10 goals, 24 assists) in 69 appearances. Rallo played 11 games with Florida, making his NHL debut on December 18, 2011, and scoring his first NHL goal on April 2, 2013. The veteran forward enters his ninth full season of professional hockey and has tallied 237 points (111 goals, 126 assists) in 457 regular-season AHL contests. He has made two Calder Cup Finals appearances, with Texas in 2010 and Manitoba in 2009. Rallo won the ECHL’s Kelly Cup in 2007 with Idaho.